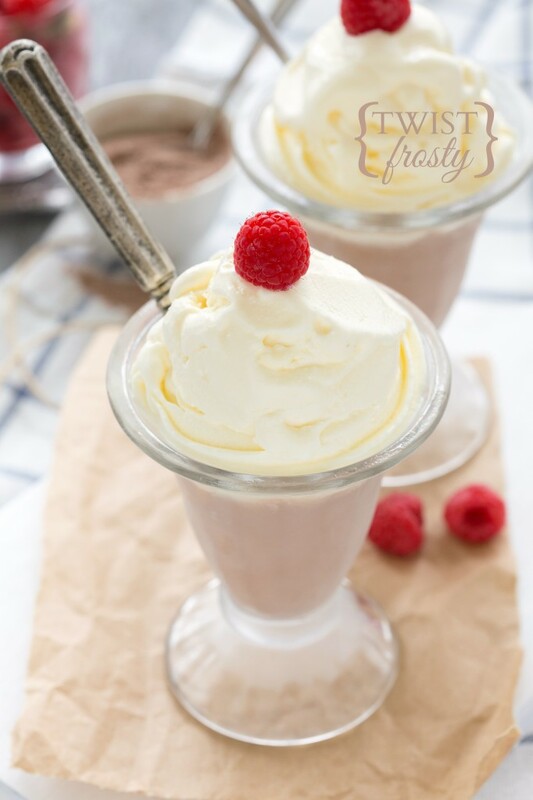 Two recipes in one – a vanilla and/or chocolate frosty. Eat ’em separate or mix them up for a twist. Each delicious flavor is an easy four ingredients thrown into your blender and then ice cream maker. 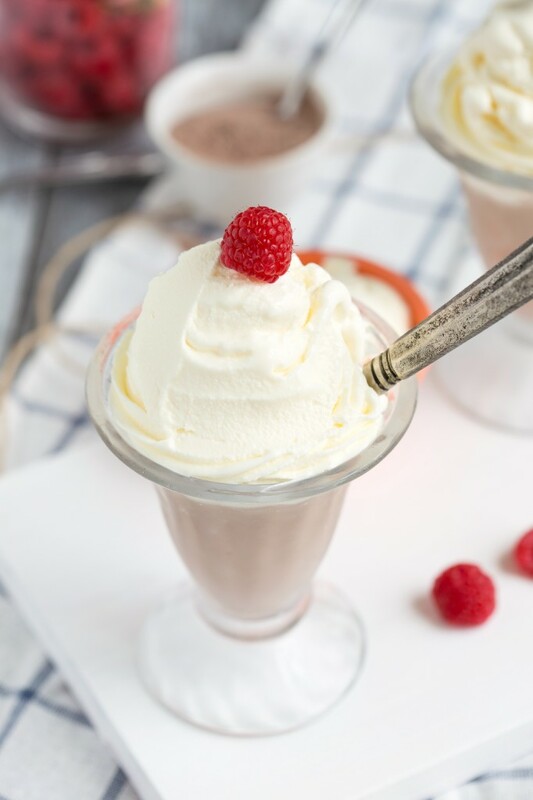 This twist-style frosty is a quick and easy snack the whole family will love! So this recipe was totally a fluke. But one of the happiest flukes I’ve ever created and definitely a new family favorite. It all started with some whipped topping, pudding mix, some milk, and a bit of ice. I was hoping to blend it and create a delicious, no-ice cream milkshake. Delicious and no-ice cream it was…. but a milkshake? Yeah, not so much. It was a bit too watery to be considered a milkshake. However, one sip of that mixture and it took some serious self control to not drink it all up right then and there. Milkshake or not, it was gooooood! After I re-gained my self control and stopped slurping down the mixture, I had the idea to put it in my handy dandy ice cream maker. So in the ice cream maker the mixture was poured. And started to churn. I soon was distracted, as I often am with such an active little babe. It was his first year birthday yesterday and plenty of party preparation was in the makes. I can’t even wait to show you guys how cute he was with smashed cake all over his face. It was too much fun to watch him with that cake. He started out so timid and unsure and minutes later, he was smashing cake all over himself and his high chair. Serious sugar coma after all that too. He was out for bed in a snap! Aaaa-nyways. So after the milkshake was done churning, it wasn’t so milkshake-y still. Instead it was a perfect soft-serve ice cream consistency. I totally had one word come to mind after the first bite. But I needed to confirm with the husband to make sure I was going crazy or anything. Oh yes. I created, by accident, the happiest, most delicious frosty! Chocolate style. I was SO excited with the chocolate flavor that I immediately tried a vanilla flavor. Everyone knows a twist is the best way to have a frosty! Oh gosh. You’ve gotta try this! Combine all of the ingredients for the chocolate frosty into a blender. Blend until smooth and transfer into a prepared ice cream maker. Remove and enjoy immediately or transfer to the freezer (in an airtight container) if you are making the vanilla frosty to go with it. For the vanilla frosty, combine all of the ingredients into a blender. Blend until smooth and transfer into a prepared ice cream maker. For the twist - alternate flavors in a large dish. Enjoy immediately. Freeze any leftovers in an airtight container. Cook time refers to freezing time in the ice cream maker per flavor. I love a fluke recipe! You just never know, right? These look delicious and refreshing perfect for an afternoon treat! That is a seriously genius idea. I have got to try that next time! I knew ice cream makers were worth the investment, but this confirms it 🙂 Swirl style all the way! I have a lot of things not work out in the kitchen, but none of mine look as wonderful as this!!! Love frostys, and I can’t wait to give this one a try 🙂 I’m definitely going to swirl mine! awwwww your lil guy’s birthday sounds great! i can’t wait to see pictures!!! 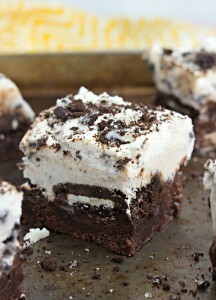 and HOW COOL that you stumbled upon this recipe! SO INSANELY GENIUS! 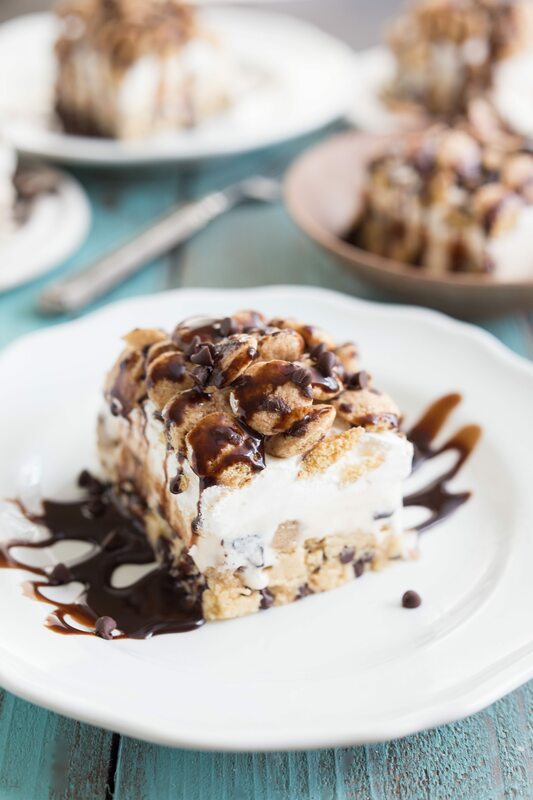 Ooooh these are the sweetest sundaes ever! Great idea!